You have complete control and flexibility about the way in which your content is delivered with real-time monitoring. As a fourth generation CDN, we’re designed specifically to deliver your content as efficiently as possible, especially to mobile devices. Choose PoP locations to fit your traffic patterns, consumption and requirements. A Hybrid Network – Private PoP’s can be used in conjunction with our existing PoP’s, allowing you to utilise both our network and yours. You can choose where you want your points of presence to be and they will be configured to your specific requirements, only running your traffic through them. The service can be altered to however works best for you; discuss with your appointed account manager what you want and need from the service. We would like to hear from you. Want to talk to our specialists? Request more info? Just leave your e-mail and we will be delighted to get in touch with you. The SynEdge range of features for game delivery has been developed to address the specific challenges of distributing online games to players all over the world. 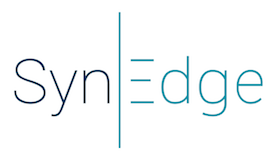 The e-Commerce Content Delivery solution SynEdge developed is aimed to tackle the unique challenges this industry has to face. Delivering large downloads and software patches efficiently will allow for the lowest error rate in the industry and the highest throughput available. Media consumption is a global trend that requires global infrastructure to address viewership demand. A rising number of content owners and publishers have found that they require larger control over their delivery than that of a classic, commercial CDN.